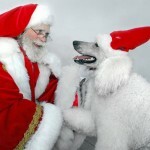 14 Last Minute Gift Ideas for Dog Lovers | Woof Report | The best email newsletter for dog lovers. 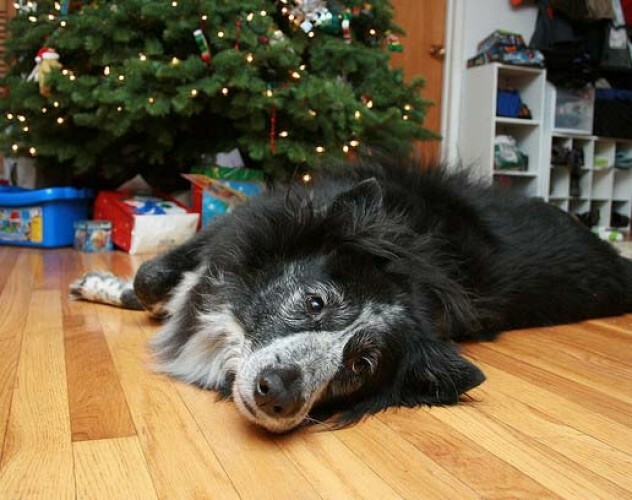 Get your paws on these last minute gifts for dogs, cats, and those that love them. They’re practical, require minimal shopping, and they’re fit for a pup’s budget. Is all of your holiday shopping for pets and people done? If so, you are likely in the minority, and tuck these ideas away for another time (dare we say Valentine’s Day is just around the corner). And if there are still names on your gift list to cross off, get your paws on these last minute gifts for dogs, cats and those that love them. What pet person wouldn’t appreciate the gift of your time? Wrap up a custom-made coupon for dog walking, washing a furry friend or even an overnight stay at your personal dog hotel. Give a Gift, Get a Gift: You’ll enjoy a dog’s company! Your dog, pets in need, and your gift recipient will appreciate your holiday donation or the gift of membership to a shelter or rescue organization. Donate online or with a simple phone call, then share the news with a card with your best wishes for the holidays. When you donate to Best Friends Animal Society now, your gift is doubled and with a gift of $25 or more, you’ll receive six bimonthly issues of Best Friends magazine. Celebrate the love of a dog when you give a framed photo of a friend or family member with his or her pup. If you don’t have a photo, a hand drawn placeholder and promise for a photo shoot works in a pinch. 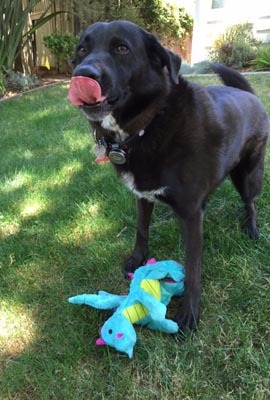 With two options, a $19 assessment or $79 assessment and an annual membership to Dognition, your gift recipient will receive twenty science-based games to play with her dog. Insights from these games created by scientists, trainers, and behavioral specialists, will be used to create a 10-15 page profile report about her dog. 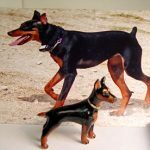 The end goal: increased understanding about a given dog’s personality and cognition style. This sounds like a great gift to give yourself or dog-obsessed friend or family member. Who doesn’t want to learn more about their dog and improve their relationship? Present a dog person with a 3- or 6-month subscription to BarkBox, and their dog will receive a surprise box with a selection of full size toys and treats each month. Sign up with a few clicks, add the dog’s address and his or her size so appropriate items are sent each month. Present a pet person with a gift coupon to offer your artistic skills to create a pet portrait, create a personalized dog towel or blanket or hand knit a doggie sweater or sew a quilt in whatever colors the dog chooses. Who can resist homemade cookies? Nobody, and definitely not your dog. Bake a batch of Peanut Butter Dog Biscuits with a simple recipe that uses ingredients you likely have on hand. Present them to your dog, or wrap them up in cellophane bags and tie them with festive bows for friends or family with dogs. Give a gift subscription to a dog magazine that will educate, entertain, and be enjoyed all year long. Woof Report favorites include Bark Magazine, Modern Dog Magazine and Whole Dog Journal. Order a gift online and print out an image of the latest cover to include with your card. 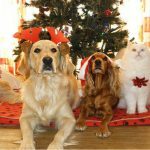 With Amazon.com’s huge selection of pet products, great prices and helpful customer reviews, who wouldn’t love a gift card. Better yet, make it personal — send a gift card in any amount, and include your own or their dog’s photo or even a video on the card. You can also customize the card with an item your gift recipient may like (although they can purchase anything with the gift card). Check out the Woof Report store for gift ideas from Amazon (look out for a cool new store coming soon). You can even order the gift card today and schedule the delivery date in advance. Learn more about customizing your gift card and cross another name off your list. Pick up a pretty ceramic jar, a glass canister with a clamp lid (check out the creative options from The Container Store) or even a simple Mason jar from your grocery store. Fill it with store bought or homemade dog biscuits or treats or even tennis balls or toys, add a festive holiday bow, and you’re set! Just like the ‘mix-in-a-jar’ gifts you’ve seen for cookies and muffins for people, this is the same idea — but for a dog! Simply layer the dog treat ingredients in a mason jar or glass container, add a bow, baking instructions, and optionally, a cookie cutter. Find instructions and the recipe for this easy and inexpensive do-it-yourself gift in Woof Report’s past tip. Sure taking and printing photos with a digital camera or even the camera on your phone is a snap for you, but maybe not for the dog-lover on your list. Plan a quick pup photo shoot (or the handy stand-by, provide a coupon for one after the busy holiday season), then crop and touch it up and provide a nice big glossy printed copy for your gift recipient. What happens when you find the perfect dog-lover gift online and it won’t arrive until after Christmas? That’s easy – place your order, print out a photo of the gift and include it with a festive bag of dog treats, so at least you-know-who will get some instant gratification. If you think people appreciate the gift of time (see #1), you haven’t talked to your dog lately. Give your dog the gift at the very top of his wish list – your time. Spend quality time together and play, go for a walk, and let him stop and sniff everything, and join him in his other favorite activities. 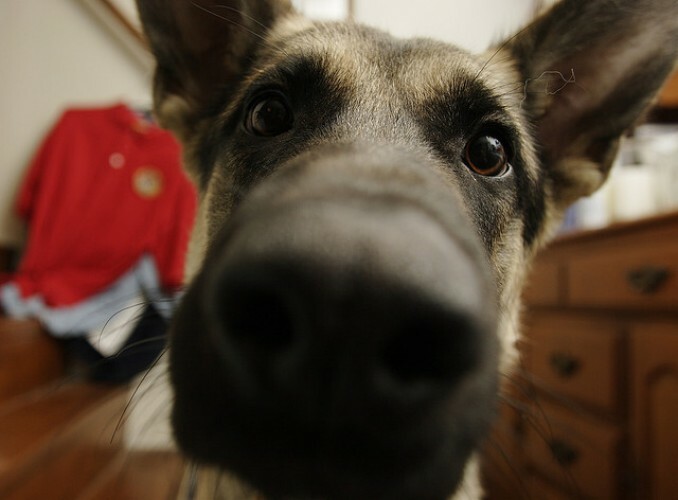 Thank you to cproppe on flickr for the photo (love this pup’s sweet face! ).